A truck full of fresh and tasty food. 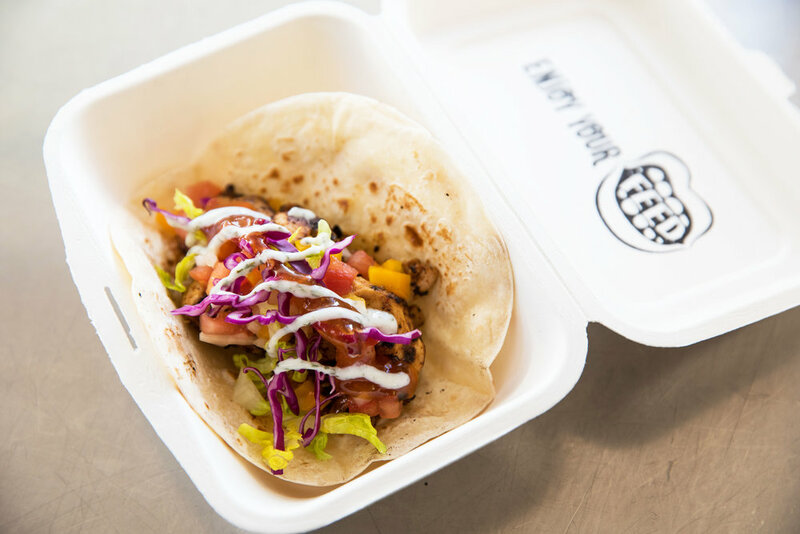 FEED is a food truck that will be hitting the streets of Auckland in Spring 2017. It's creator, Adey Richards has always had a passion for food and as a keen amateur cook he long dreamt of one day owning his own food truck. With a love of all things food, and a passion to try something new, Adey decided now is the time to offer everyone a good feed of fresh and tasty food that he loves to cook himself. Every feed of fresh and tasty food is lovingly created to leave you feeling full and happy. We source the best, freshest seasonal ingredients for all our dishes and because we like to keep things fresh we also change up our menu depending upon the season, the event or the special occasion. Click on the button below to see our selection of sample menu's or visit our Facebook page at fb.me/feedtruck.co.nz to see what's cooking this week in the FEED truck and where we will be popping up next. My mission is simple: to give you a good feed of fresh and tasty food. As an avid home cook for the past 30 years I've long had the dream that one day I would one day change my career and do something with food. As I've watched the food truck scene develop in New Zealand I decided that now is the time to open my own food truck, and share some of the food that I love cooking at home with the people of New Zealand. So at the start of 2017 I transported an ex-ambulance up from Christchurch to Auckland and over the last 7 months I have lovingly brought it up to date with a few new bits of equipment, a good lick of paint and a cool logo. Coming from a professional background in Creative Marketing I had a lot of fun concepting ideas for what the truck should be and playing around with logo designs. It felt so good to be my own client! At the same time I've been having lots of fun in the kitchen, playing around with lots of different recipe ideas. Already it's been quite a fun journey and one I couldn't have started without the support from my good friends and family. So now I'm on the best journey of all, and that is to give you a good feed of fresh and tasty food.